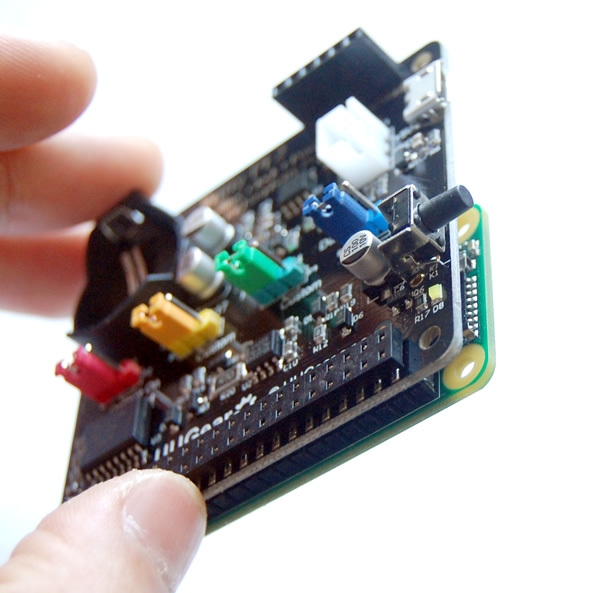 Witty Pi 2 is a HAT-shaped add-on for Raspberry Pi that adds accurate realtime clock (DS3231SN) and power management, which allows you to define complex ON/OFF sequence of your Raspberry Pi with simple script. 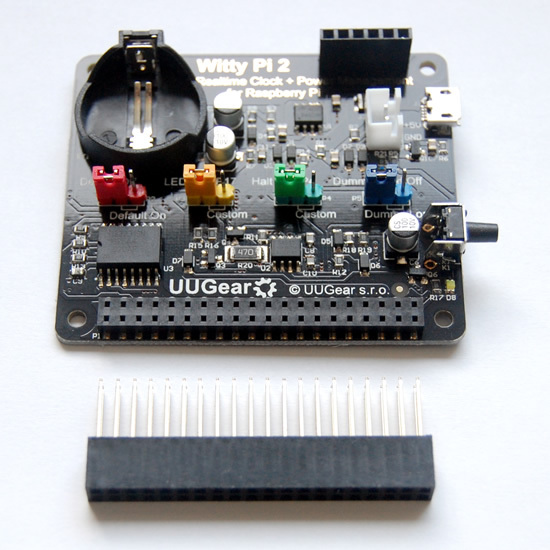 Witty Pi 2 is one of our flagship product and is becoming more and more popular recently. Today we announce the second revision of Witty Pi 2, which only has slight difference on the look and introduces a small enhancement, yet significantly simplifies our assembly process. Until recent days, both Witty Pi and Witty Pi 2 use a rather complex assembly process. The 40-pin stackable header needs to be soldered manually on the board first, and then a plastic pin holder will be pressed on the board, to make the board look nicer. Soldering the 40-pin stackable header is a huge workload, and we could hardly bear it, as the demand of Witty Pi 2 goes higher. So we take the idea from the Sense HAT, and use a surface-mounted female header to assembly the stackable header. This SMD female header is customised, and has only 2mm plastic height (the one on Sense HAT has 3.5mm plastic height). This slim header can make sure the stackable header be hold firmly, and still has enough length of pin exposed on top. This female header increases the BOM cost, but it saves us a lot of time on soldering the stackable header. In reversion 2, we also made a small enhancement on the design, and prolong the delay time (for 2~4 seconds) before Witty Pi 2 cuts the power. The purpose of this enhancement is to avoid “hard shutdown” unintentionally. This change doesn’t make Witty Pi 2 more NOOBS friendly, since the delay on NOOBS menu is way longer. You will still need to avoid using NOOBS, or disable the NOOBS menu to make Witty Pi 2 work. More details about this issue can be found on page 5 of Witty Pi 2 user manual. 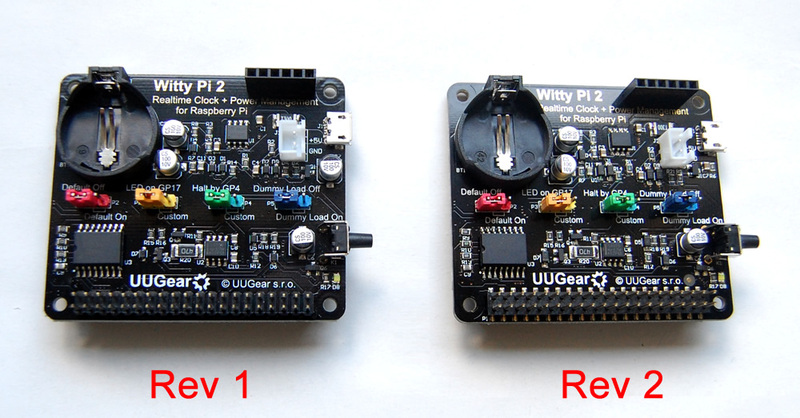 The second revision of Witty Pi 2 is now in stock, and the pricing is the same with the first revision.